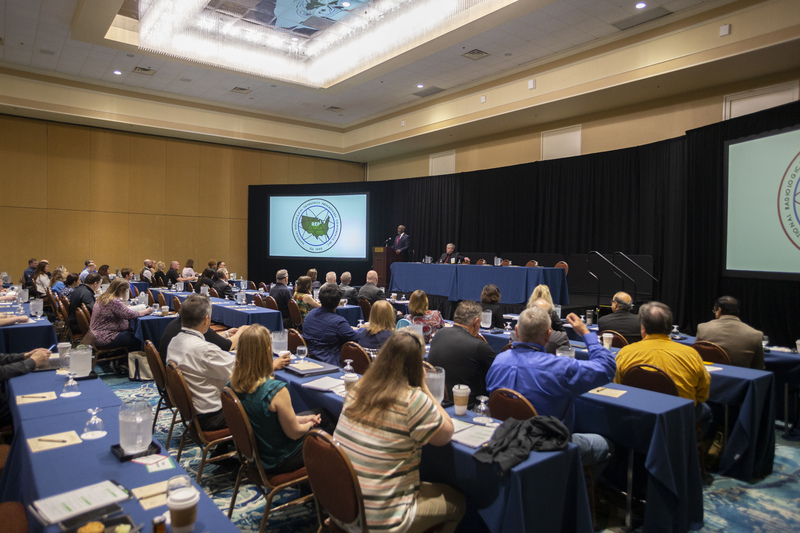 Nationwide emergency management professionals gathered for the 2019 National Radiological Emergency Preparedness Conference at the Rosen Plaza Hotel on International Drive. The four-day conference, held from April 1 to 4, provides a forum and continuing education workshops for leaders that oversee radiological emergency preparedness. Orange County Mayor Jerry L. Demings attended the second day of the conference and provided the opening remarks. Guests also had the opportunity to listen to a keynote address by Alex Amparo, Assistant Administrator of the National Preparedness Directorate at the Department of Homeland Security’s Federal Emergency Management Agency. The conference also featured an exhibition hall with the latest technology and training services for the industry. Throughout the afternoon, guests participated in workshops and breakout sessions focusing on crisis communications, training and emergency planning, health and data management and other topics related to the preparation and response to radiological emergencies. The purpose of the conference and workshops is to provide a professional forum for individuals and agencies to exchange ideas and improve the nation’s overall readiness for radiological emergencies. Attendees are typically from federal, state, and local government agencies, radiological health programs, the nuclear power industry and other domestic and international organizations. Photo Caption: Orange County Mayor Jerry L. Demings addresses attendees at the 2019 National Radiological Emergency Preparedness Conference at the Rosen Plaza Hotel in Orange County.